As I prepared my notebook and pen for my interview, I couldn’t help but notice racks and boxes overflowing with brightly colored, printed clothing. The Newman Alumni Center was quiet aside from the pitter-patter of students walking back and forth. The air reeked of urgency as members of the University of Miami’s African Student Union let no question go unanswered, no problem left unsolved. 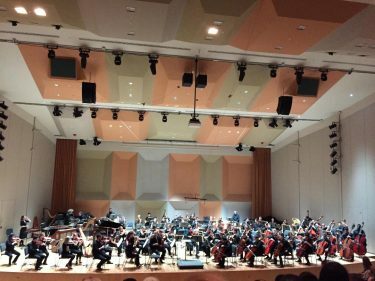 Abisoye explained the purpose of the ASU and the theme for Friday’s show. “It’s going with the aim and the purpose of our club, which is to just bring knowledge and understanding about the culture of Africa and the issues that plague the continent,” she said. The committee, executive board and ASU president Obianzeze Okolo wanted to theme the show around elements to express “social elements such as love, happiness, joy and serenity and also the physical elements- fire, water, air,” said Abisoye. To do that, ASU reached out to local and global designers including EZ Clothing, Deborah Rose Designs, Latam Wic, Aude Swim and BY ATTAA. Around 1 p.m., I said my goodbyes to Abisoye, Okolo and their fashion show committee members and left the alumni center only to return again at 6:30 p.m.
As I entered the Newman Alumni Center once more, the warm smell of hors d’oeuvres, the sound of guests filling seats and the sight of more vibrant prints welcomed me. Cocktail hour was in full swing when I ran into 20-year-old artist and designer Anshanni McClam. McClam, one of the many artists featured at the event, stressed the importance of cultural representation for students of color attending a predominantly white institution. After making my way through the vendors, I found my seat in the main ballroom. 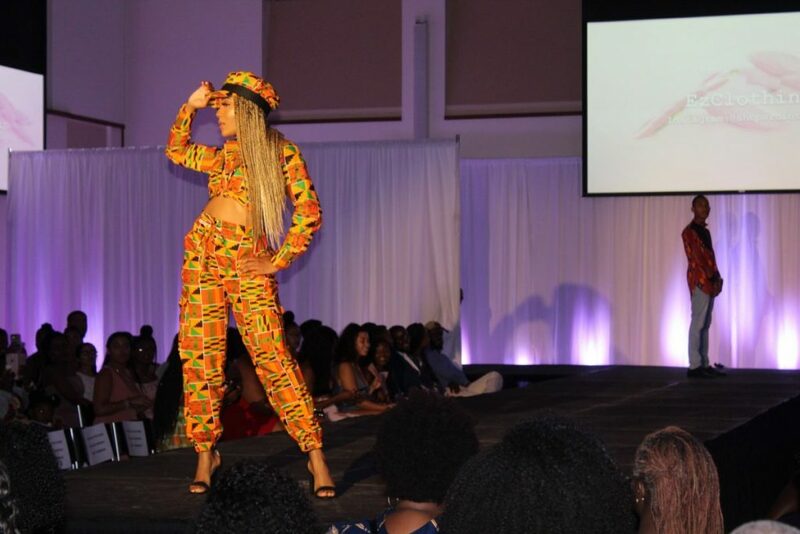 The show began around 8 p.m. with host Landon Coles introducing the ASU executive board as they walked the runway in matching Ankara outfits. 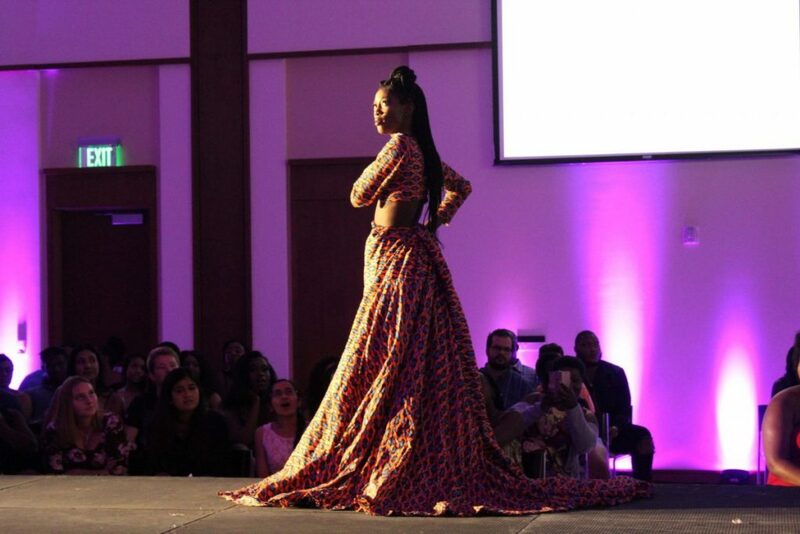 Following that, student models took to the runway sporting traditional African garb that ranged from everyday wear to evening gowns and swimwear. During a brief intermission, guests got to take a second look at the vendors and purchase raffle tickets benefiting One Lamb, an organization fighting against sexual exploitation of children in Nairobi, Kenya. 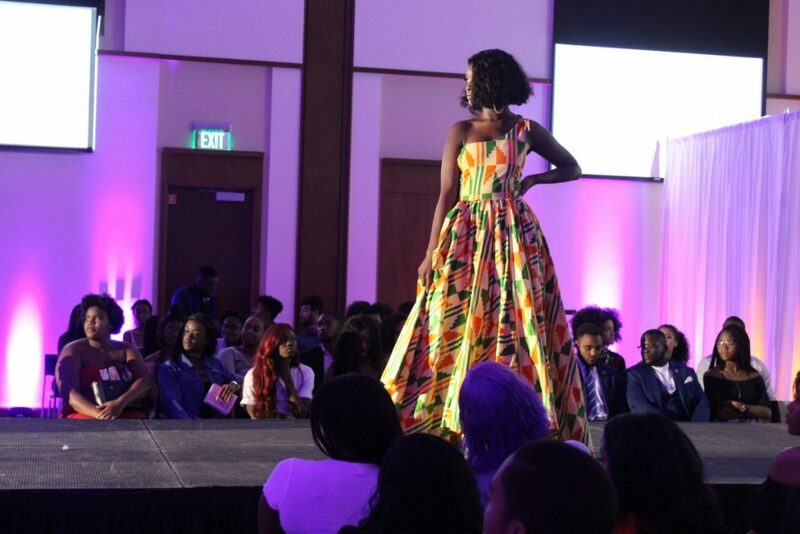 Though this was the show’s fourth year, it was the first time ASU partnered with a charity. Next came a performance from OLEKU, ASU’s official dance team, which performed a routine showcasing African dance moves and music, followed by a surprise announcement from Coles: Attendees would get the chance to compete for a spot in next year’s show. 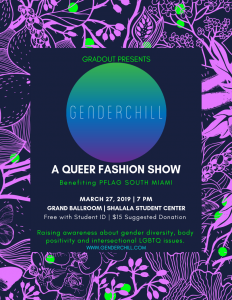 Five males and five females then strutted their stuff on stage, with the audience picking the winner by cheering for their favorite competitors. ASU capped off the runway show by thanking President Okolo and Vice President Abisoye with flowers and a grand group hug from the whole executive board. 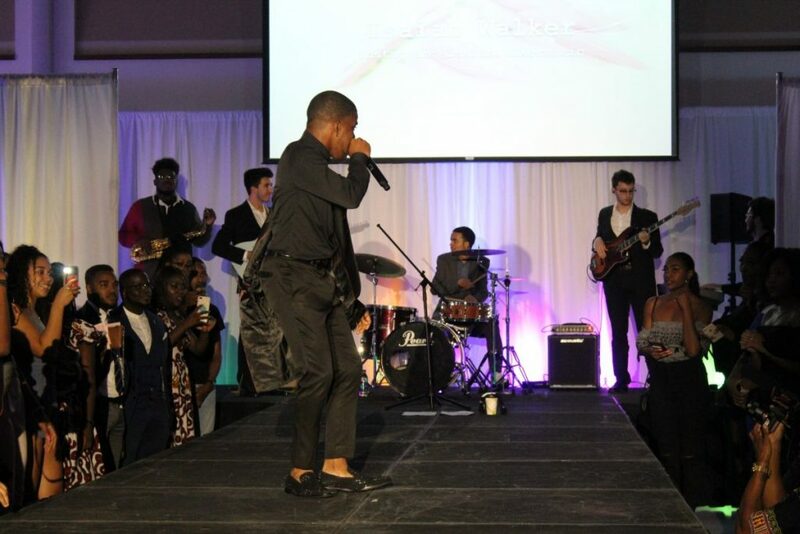 The night came to a close with an energetic performance by freshman Isaiah Walker and his band, complete with a fog cannon, arrangements that went along with the African theme and an impromptu vocal accompaniment by UM student Jonathan Cola. By 9:30 p.m., the ballroom was almost empty as most of the guests trickled out to the lobby to mingle or make their way home after an unforgettable night of cultural immersion.